TV news station WPXD-TV are reporting that an Ohio woman is planning to erect and burn a cross on the grounds of a Chicago sperm bank after claiming that she was inseminated with sperm from a black man, despite ordering a vial from a white donor. The biggest issue? 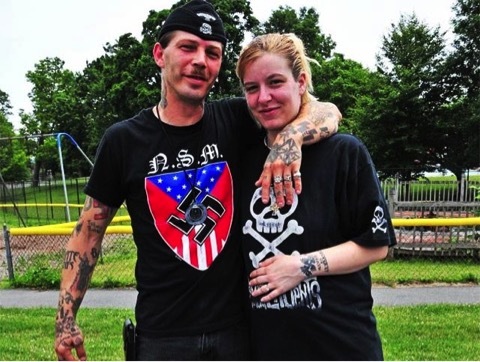 The woman and her partner of the time are neo Nazi white supremacists. Back In April 2012, Molly visited the sperm bank and was inseminated with a sample from ‘Donor No. 330’, who is an African-American man. However, the couple had selected ‘Donor No. 380’, a tall blond white man. The sperm bank did later realized their mistake and send the couple a formal letter of apology and refunded her payment. But Cram is convinced that the mix-up was purely intentional. Previous articleThis Little Girl Is Drowning In The Water, But What Happens Next? Awe Inspiring! Next articleThe 25 Most Perfectly Timed Photos Ever Taken!